Hey everyone. I’ve spent all of today programming you’ll be pleased to know. There isn’t a massive amount to show for it, but I’ve gone about fixing some of the things that changed. 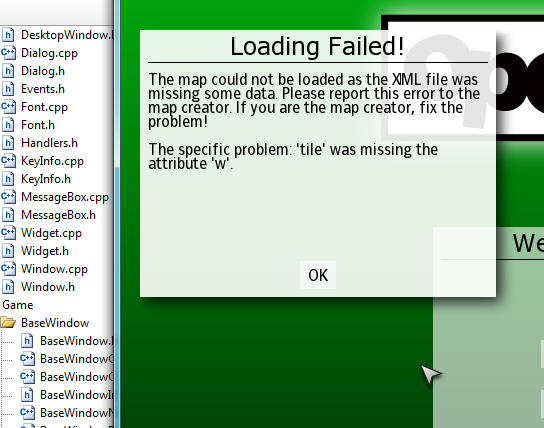 The only other new features is that now there are error dialog boxes, which strangely wasn’t on anybodies request list. Suggestions welcome and mockups doubly welcome! Update: And just because I know you guys are dying to see it, here is the new message dialog class used for errors. 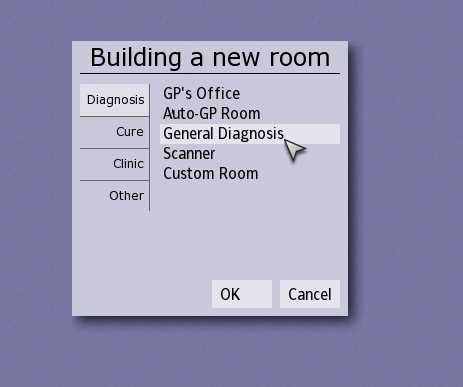 The interesting thing I suppose is that this new GUI is completely custom written so it isn’t rubbish. You guys love error messages! Right? So the code has had the following changes applied to it by Paul. Most of these are internal things which you won’t care about. We don’t use GUIChan anymore, the poorly written user-interface library that was used. OpenLayer, Allgegro and SDL are gone too. Freetype (for fonts), libpng (for png loading) and Lua (for scripting) are all the dependencies we have now. Fonts rendered more efficiently. Textures handled in a more programmer-friendly way. Unicode is supported nearly everywhere, so it will work in non-Latin languages too in future. So these are big, important changes. The bad side is it doesn’t work right now. However, just when I was going to repair these changes we noticed some code had been deleted by TSVN. This is annoying to say the least (especially for Paul). However, it will be rewritten and the repairs will come into effect and we will have a better core. Then I’m not entirely sure what is next. Whatever we feel like I suppose. Drag and Drop can be improved, staff rooms & research can be better implemented and we want to change the way outside objects are rendered to name three things. I will also try and tidy up Lua sometime and make a guide but I don’t want to do it quite yet. Machine/Person interaction is high on the list too. You will have noticed the project has been dead for a while. This is because we’ve all had exams. But now they are over! At least for Paul and I. Hopefully we will get to do some more programming soon on the project. 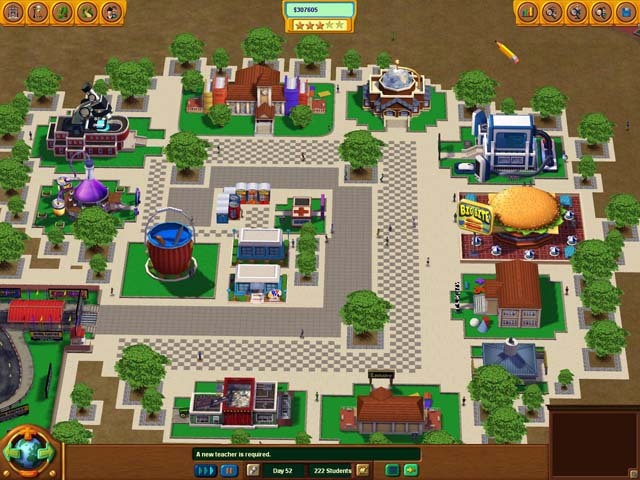 At the current state the game uses the in-game graphics from the original game, and that is all well for those who own a copy of it – and still know where it is. For the rest of us, however, it will be quite hard to play the game without them. Therefore we’ve started a graphics replacement project similar to what OpenTTD has. The project is still in its very early stages – there are no finished objects – but here are some examples of what we’re currently working on. Follow the development in the art section of the forum. I’ve stressed a few times that OpenTH is quite flexible and things are not hard coded as much as is possible. Someone mentioned at some point they’d like to see the engine used for other types of ‘Theme’ games. A lot of these already exist in some form, but often fall into the trap of being “too 3D”. The isometric viewpoint has proved to be the best for these sorts of games, I think. Proper 3D looks ugly and is harder to control. Obviously for each one things would have to change (mostly the concept of a disease won’t make sense anymore) but it’d probably be possible. Imagine instead of diagnosis rooms having science labs and gym halls, setting the class sizes, and hiring teachers instead of doctors. It might almost be fun. Perhaps. 'School Tycoon' exists, although it got awful reviews. Could OpenTH be used to make a decent version? I’ve never played Dungeon keeper so I don’t know about that, but it sounds like a really good concept. Well it is something for a long time in the future, but perhaps somebody will someday fork OpenTH to make it into one or all of these games. It is possible! 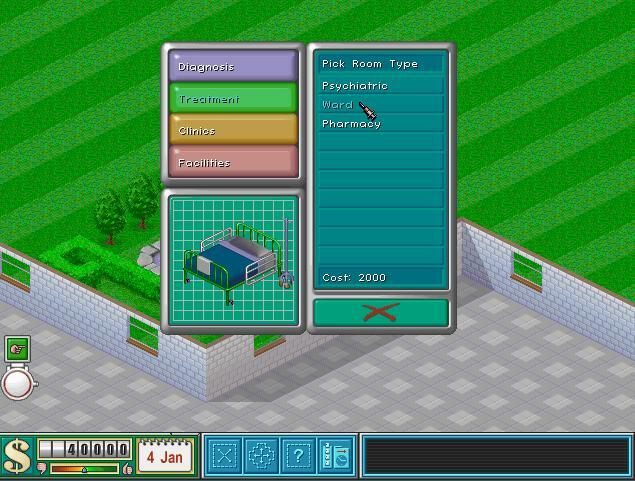 For now we definitely will not be looking at extending the game in these directions though, as making a hospital game is enough work in itself! Hello everyone! We’ve reached the 300th revision of OpenTH. Recently, Paul has been working on rendering and the user interface and Coops has been working on porting the code to SDL and cleaning it up. His work is still in the branch for now but if everything goes okay it will be merged into the trunk soon. I would give you a screen shot of what it looks like loaded into OpenTH, however paths and so forth are currently not functioning as the way they are rendered is going to be upgraded, so you’ll have to wait for that. 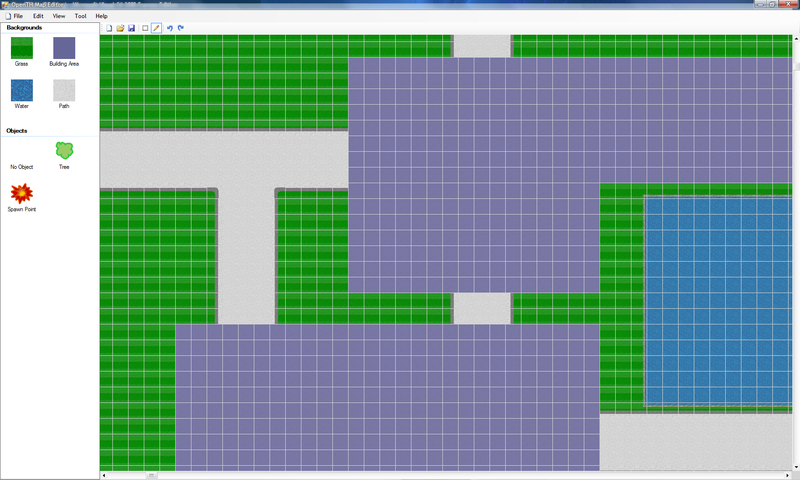 The bad news is that the level editor is a bit slow at the moment. If you are a C# programmer and you want to help, then perhaps you will consider improving the editor? Post in the forum or private message me or reply here or email me (jlnw3 (at) cam.ac.uk) or talk to me on MSN (jaxweb@f2s.com) if you are interested in that. I have written a sound extractor which can extract all the sounds used in Theme Hospital to wave files. These will be used in OpenTH. Some of the sounds and announcer’s lines are not used in the game but are quite funny and might be used in OpenTH. Source Code available on the OpenTH SVN.